Ultra-Zionist Howard Schultz presidential bid: A ploy to re-elect Trump? Do Tick Salivary Glands Hold the Key to Control of Flaviviruses? Michael Shrimpton chronicles the ongoing collapse of the May Government in Britain and looks at the disastrous UK/EU deal. Dominic Raab, the Brexit Secretary, walks out. The long, slow collapse of Theresa May’s disastrous government has accelerated dramatically in the past week. Sir Graham Brady, a.ka. ‘Shady Brady’, the Chairman of the backbench 1922 Committee, probably already has the 48 signatures required to trigger a vote of no confidence. It is reasonable to assume that the names have been leaked to government whips and that frantic efforts are being made this weekend to cajole MPs into withdrawing them. Astonishingly, ‘Oily’ Robbins, the UK’s chief ‘negotiator’, agreed to the insertion of clauses which the responsible minister never saw. Let me spell that out. The Brexit Secretary, Dominic Raab, never saw, let alone agreed to, some of the clauses in the draft agreement. Unsurprisingly, he canceled his trip to Brussels for the surrender, sorry signing, ceremony and resigned on Thursday morning. It is traditional, when our community partners the Krauts force their enemies to surrender, to sign the surrender document in a railroad carriage in Paris. The EU doesn’t do tradition, however. They haven’t even laid on a railroad carriage, the cheap bastards, no offense intended. I trust that my British readers, who will be familiar with the procedure, will bear with me whilst I explain it to my American readers, to whom it may be new. Changing leaders in America usually involves warning off the Secret Service, getting the leader caught in a crossfire and blaming it on the nearest patsy. When a leader of the Tory Party loses the confidence of the party, he or she will face a no confidence vote if at least 15% of the party’s MPs lodge a letter with the Chairman of the powerful 1922 Committee. This was named for the events of 1922, when certain suits in the Tory Party discovered that the then Prime Minister, David Lloyd George, a.k.a. ‘the Welsh Windbag’ was a German spy. As I explain in my book this had finally been worked out by British Intelligence in 1918, after a detailed examination of captured German trenches in the Somme showed that our community partner the Hun had been forewarned of our offensive. Lloyd George as Chancellor of the Exchequer had also intervened with the Admiralty over the design of our capital ships, in order to make them easier to sink. The letters are valid until withdrawn. My old friend Sir Michael Spicer, Sir Graham’s predecessor, only allowed them to remain on file for a year. The Chairman, unless he’s a gent like Sir Michael, then hands copies of the letters to the Whips’ Office. The whips then try to bribe, cajole or blackmail the MPs into withdrawing them. If the MPs have secret love children or are gay and have boyfriends, or have been around to see Miss Whiplash, they then withdraw the letters. The Chairman then goes on TV to announce that he doesn’t have enough letters. If enough MPs are brave enough then there’s a confidence vote. If the leader loses, by a simple majority, there are successive ballots of MPs to narrow down the candidates to two. The winner is then chosen by Tory Party members. Left wing weanies need not apply. At least that’s what the whips thought the procedure was. There’s been a stunning development, however. 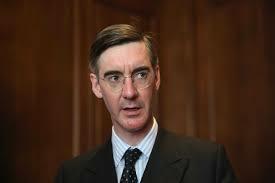 The Tory Party now has an MP with a brain, Jacob Rees-Mogg, son of that nice man the late Lord Rees-Mogg, who as it happens was a former client of mine. (William had very sound views on Europe, with respect, and led the legal challenge to the notorious Maastricht Treaty.) The current lot of whips have never dealt with an intelligent MP before (the last one was that other nice man Enoch Powell). It’s something quite outside their experience. I should explain that before you can become a Tory candidate you have go to through a selection procedure. This is carefully designed to weed out intelligent applicants (I failed this particular intelligence test, I’m pleased to say!) Somehow Jacob got through. This could be something to do with his personal charm. Having a brain, with respect, Jacob probably realised that the 1922 Committee has been passing copies of the supposedly confidential letters to the whips. He therefore went public, on Thursday night, and for good measure released a copy of his erudite and very rational letter to the media. This not only caught the media on the hop, as they’re not used to seeing erudite and rational correspondence from MPs, but set a good example for other patriotic MPs. The media can count, except for the Guardian of course. By the weekend over 20 MPs had publicly announced that they had submitted letters of no confidence in the Prime Minister. I doubt it. The rising panic in Downing St and the Whips Office suggests that they don’t think she has the votes. The Cabinet Secretary, Sir Mark Sedwill (a.k.a. Gruppenführer Ritter von Sedwill) is also under stress, always a good sign. At Wednesday’s Cabinet meeting he shouted down Esther McVey, the Secretary of State for Work and Pensions, who promptly helped pull the rug from under Theresa May by resigning. Sir Mark with respect seems to have even less belief in Cabinet government than his nominal boss, the Prime Minister. It’s not his role, as a mere official, to shout down Secretaries of State. I was willing to give him a chance, but he’s clearly got to go, along with Theresa May. What’s wrong with the deal? It would be easier to ask what’s right with it. Not much, is the answer to that question. The agreement was clearly written by Commission officials. There are occasional concessions to the UK, but not many. Theresa May spoke last week about ‘thousands of hours’ spent in negotiation. It doesn’t look like it. The most sinister part of it is the Northern Ireland/Ireland Protocol, Article 6 of which provides for a common customs area, in effect keeping the UK inside the Customs Union. This makes a liar of Theresa May, who campaigned in the 2017 election on the basis that we would leave the Customs Union. Nor is it just a temporary thing, despite what it says in Article 1(4). The EU never deals in good faith. The trick to dealing with Johnny European is to work out where the truth lies. You know he’s lying, but about what? It’s like reading one of Al Capone’s tax returns – if you want the full story you need to start digging. The kicker is Article 20 of the Protocol. It ties us in to the Customs Union forever. That’s right – we can’t leave without the EU’s consent! Talk of a trade agreement to take the place of this ‘interim’ agreement is just that – talk. There’s no commitment, and since the EU have us where they want us, no incentive. Whilst it may be structured as a transitional or interim arrangement it isn’t. It’s clearly intended to be the final deal. Since we trade as a massive deficit in goods with the EU – even on the official figures, which are fiddled – it’s in the interests of Germany and the EU to keep us trapped inside the Customs Union. A genuine transitional agreement wouldn’t be nearly so detailed, and it would have a fixed end date, which the Northern Ireland/Ireland protocol doesn’t. I respectfully agree with Boris Johnson’s comments in today’s Daily Telegraph. Theresa May and Mark Sedwill are trying to betray Brexit. The Attorney-General, Geoffrey Cox, advised the Cabinet last Wednesday that the UK could not unilaterally withdraw from this agreement if it came into force. I’m not sure he’s right, with respect. Under the Vienna Convention, unless it’s excluded, a nation state can withdraw from a treaty in a number of ways, giving as little as three months’ notice. The draft agreement doesn’t exclude Vienna, but there’s very little chance of the agreement being interpreted in good faith. Confidence in the British judiciary collapsed with respect after the outrageous Factortame decisions, where the judges held, absurdly, that Parliament bound its successors with the European Communities Act 1972 and that post-1972 statutes had to give way to community law. The rot started to set in with the notorious Carltona decision in World War II. Clearly acting under German influence, with respect, the judges in that case undermined responsible government in Britain by transferring power from ministers to officials under the guise of delegation. The decision was prompted by the Abwehr’s loss of control over the government in May 1940 and the failure of the 1941 Hess-Halifax coup. Whitehall of course reported, then as now, to the Cabinet Secretary, who in 1941, as we all know, was a German spy. The decision was junk law with respect, but still stands, indeed the judges have even extended it to delegated legislation. There has never been confidence in the European Court of Justice. If you think you guys have it bad with the Supreme Court you should see the way the ECJ has rewritten the treaties. It’s a federalising institution on a mission. It started way back in the early 60s with crazy decisions like Costa v. ENEL. It’s unlikely that either British or European judges would interpret the agreement in good faith if it came into force. They would probably hold that the UK had no unilateral right to withdraw under Vienna. In that sense the Attorney-General is right, but it’s intellectually dishonest with respect not to bring in Vienna. Theresa May’s dodgy de facto deputy, no offense intended, David Lidington, has even been going around saying that there was no way for the UK to withdraw from the EU prior to the Treaty of Lisbon, which brought in Article 50. Really, David? How do you suppose that we would have withdrawn from the EEC, as it then was, had the votes in the 1975 referendum been fairly counted? It is fundamentally contrary to international law to try and bind a state to a treaty against its consent. Article 20 of the Northern Ireland Protocol is a deeply dangerous provision, enough on its own to damn the entire UK/EU agreement. What people like David Lidington and Geoffrey Cox are really saying is that if we want out we’ll have to fight our way out. So be it, but do they really want another Anglo-European war? The draft now goes to the European Council for approval. It has Germany’s backing, so they’ll rubber stamp it – when Germany tells them to jump, EU governments just ask how high. The Spanish are kicking up about fishing rights, but are probably being told that May and Robbins have agreed to sacrifice those down the line. It will be like the Common Fisheries Policy, but with a different name. Sacrificing our fishing waters was a key part of the deal when we went in. Germany’s Edward ‘von’ Heath couldn’t sell our fishing communities down the river fast enough. Neither the Cabinet Office nor the Foreign Office care anything for our fishermen, indeed they probably despise them for the gallant role they played in both world wars. The European Parliament also has to approve the deal, but it’s about as likely to stand up to Merkel as the Reichstag to Hitler. The Parliament of course is modeled on the Reichstag. A mere consultative assembly, its role is to provide a democratic fig-leaf for the EU. However EU approval will scarcely matter. The deal looks dead on arrival in the House of Commons, unless Labour changes its stance. There will be a number of pro-EU Labour rebels, but they will be outnumbered by pro-British Tory rebels. 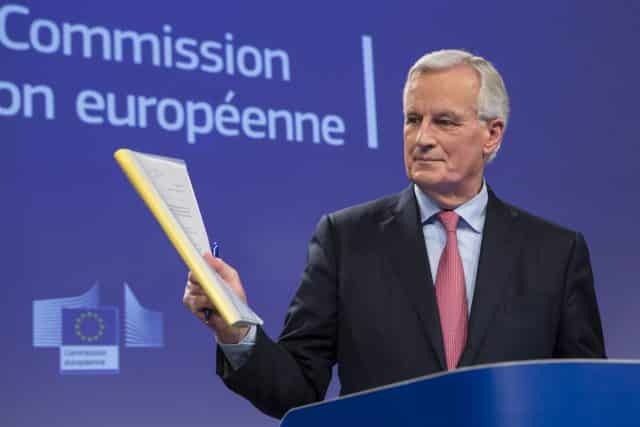 Since the start of the weekend Theresa May has been wittering on about renegotiating the agreement, but the EU aren’t interested in changing it. They may rework the wording of the political agreement, but since it’s not binding it scarcely matters what it says. Its main purpose is to fool MPs into believing that the so-called transitional agreement is temporary. You might think that MPs would have to be particularly stupid to buy that, but only if you hadn’t met many MPs. The average MP has the intellectual capacity of Trigger, the road-sweeper in the BBC comedy Only Fools And Horses, who took pride in the fact that he hadn’t changed his broom in 20 years (it just had 17 new heads and 13 new handles). My prediction is that Theresa May will be forced out and that Jacob Rees-Mogg will be the new Prime Minister, with Boris Johnson as Foreign Secretary. The UK will then leave the EU without a deal. Not all MPs will like it, but the decision to leave or stay in the EU was too big for them. They handed it over to the people and the people decided to leave. George Soros, the EU and the Germans may not like it, but tough. All sorts of scare stories are circulating about a no deal – Project Fear Part Deux. In fact a no deal scenario simply means that we move to WTO rules. Since we trade with the EU at a massive deficit this will suit us nicely. Officials are warning that 5% of our food moves through Dover, as though we couldn’t buy tomatoes from the Channel Islands or the Vale of Evesham. If it comes to that, you guys know how to grow tomatoes, even if you don’t how to pronounce them! One thing the scaremongers are not pointing out is that most of the cocaine and heroin finding its way into this country also comes in by truck from Europe. A no deal Brexit will save a lot of lives. Of course there’ll be less money sloshing around for pay-offs. Given the hysteria of some of the official responses, it is a legitimate to ask whether the late Lord Heywood was the only bent bureaucrat in Whitehall. Well, at least I was right about the Senate! Shame about the House. The big question, which is making US elections difficult to predict, is how many of the voters were actually entitled to vote? Overseas observers tend to forget that federal elections are not actually run by the federal government, but by the states. Some states, run of course by Democrats, are clearly not checking the credentials of those voting. I respectfully agree with President Trump. Electoral fraud in America is a real issue. It ties in with illegal immigration. The traditional figure for the number of illegals in the States was about 11 million. The reality is probably somewhere between 20 and 30 million. If only 10% of those voted it would make a big difference. A large number of illegals will have fake IDs. One rough way of working out how many people are in a country, BTW, is retail food sales. There is no way that food sales in the UK correlate to the number of people who officially live here. My condolences to the people of California. I sincerely hope that the huge number of missing turns out to be people who have left their homes and not checked in. These fires do not look accidental. How many times do I have to say it? Starting wildfires is a standard DVD tactic. It’s been used since at least 1968 in Australia. 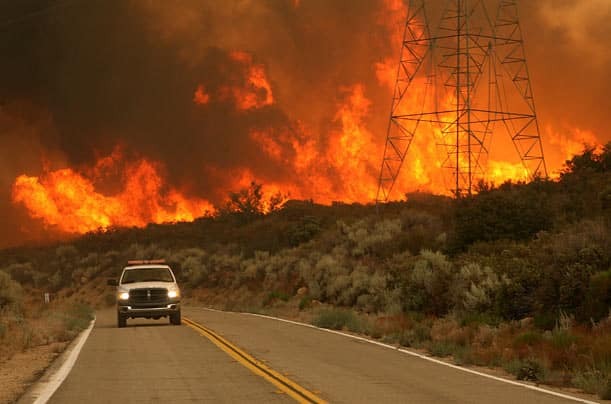 It’s high time that some one seriously investigated the cause of a wildfire, which won’t be anything to do with global warming, not least since that isn’t happening. The fires in California probably had multiple ignition points. The Bad Guys who started the fires will have exited by vehicle – nobody wants to be burnt to death in their own fire. Satellite imagery would help identify the perps. The California fires need to be treated as a national security issue. I’m not buying directed energy weapons. I know it’s being said, but you don’t need a directed energy weapon to start a fire and I’m not aware of any radar or satellite imagery suggesting illicit aerial activity at or near the crime scenes. I see that ‘von’ Mueller has now extended his silly probe to my friend Jerry Corsi, whose ‘crime’ was to tell the truth about President Obama. Since Mueller was Director of the FBI for half the time that Obama was president, and since the FBI must have found out during their background checks that the guy wasn’t actually born in the USA, maybe it’s ‘von’ Mueller who should be investigated. As I’ve said before it’s high time that this investigation, built on the lie that Russia hacked the DNC, was shut down. Those convicted, in each case of auxiliary offenses only, should be pardoned. Michael Shrimpton is a barrister, currently suspended of course, called to the Bar in London in 1983. He is a specialist in National Security and Constitutional Law, Strategic Intelligence and Counter-terrorism. He has wide ranging connections both in Western Intelligence agencies and amongst ex-Soviet Bloc agencies. The late Generaloberst Markus Wolf, of the Stasi and DVD, was one of his contacts. Michael has earned respect in the intelligence community for his analysis of previously unacknowledged post-WWII covert operations against the West by the German DVD organization based in Dachau, near Munich, Germany, and its British, French and American client agencies. These continue to the present day, as politicians and the media are too nervous of standing up to them. Michael was formerly an Adjunct Professor of Intelligence Studies in the Department of National Security, Intelligence and Space Studies at the American Military University, teaching intelligence subjects at Masters level to inter alia serving intelligence officers. He has represented US and Israeli intelligence officers in law and briefed in staffers on the Senate Select Committee on Intelligence and the Joint Congressional Inquiry into 9-11. In the wake of that murderous attack he addressed panels on terrorism in Washington DC and Los Angeles organized by the respected Jewish Institute for National Security Affairs. Fellow panelists included a former head of Special Operations Command and a former Commander of the US Atlantic Fleet. Michael's active assistance to Intelligence and Law Enforcement agencies in the Global War on Terror produced some notable successes, including the exposure of the Abu Ghraib 'hood' photograph as a fake. His work on strategic intelligence took him to the Pentagon and he has also met with senior advisors to the President of the Russian Federation, in Moscow, in November 2005. He participated in the Global Strategic Review conference in Geneva in 2005 and was a speaker at both the Intelligence Conference (Intelcon) in 2005, and the Intelligence Summit in 2006, each at Crystal City. In 2006 he was flown out to, and flew off from, the nuclear-powered aircraft carrier USS Enterprise (CVN-65), as part of the US Navy's Distinguished Visitor Program. She was then working up her air group off the Eastern Seaboard of the United States, before operational deployment to the Persian Gulf. It is comparatively unusual for a foreign civilian to complete a carrier landing and launch cycle. Michael's ground-breaking, 700 page intelligence text "Spyhunter: The Secret History of German Intelligence" was published in England by June Press in April 2014. It features on a number of intelligence syllabuses, as does intelligence analysis prepared by Michael, e.g. on the brutal 2003 assassination of British weapons scientist Dr David Kelly CMG. In their unlawful raid on Michael’s home in Wendover, Buckinghamshire in April 2012 Thames Valley Police officers seized the manuscript of Spyhunter and all of Michael’s onshore backups. Publication was only possible because the draft had been backed up offshore. The police hung onto the seized copies long after it was decided not to use them as evidence. In November 2014 Michael was convicted at Southwark Crown Court by a tampered-with jury panel on two bogus bomb-hoax charges. Prior to bringing in the police the British Ministry of Defence, after consulting with the Cabinet Office, destroyed their recordings of Michael’s initial contact and qualified intelligence briefing re a DVD operation to target the Opening Ceremony of the 2012 Olympics using a stolen Russian SS-N-19 warhead. Happily the NSA intercepted both Michael’s call to MOD and their call to him (on a number he had provided) and the intercepts are now in the hands of MI5. As Michael’s distinguished Veterans Today colleagues Gordon Duff and Ben Fulford have confirmed on this website, his intelligence briefing to MOD was substantially correct and two warheads, both off an SS-19, were recovered by the US. After inspection the Department of Energy estimated their yield at 20KT. Regarding ‘Von’ Mueller’s probe. Yes, Mueller as FBI Director must have known that Obama wasn’t born in the U.S. I will add that it gets much worse than that. Mueller must have also known that the claimed American mom was not the mother, since the CIA took Michael Shrimpton’s advice and did a DNA test on Obama and his claimed maternal grandma, in 2007 when the “unknown” Sen. Obama was first running for President. See, for example, Mr. Shrimpton’s March 9, 2014 very good column about it. https://www.veteranstoday.com/2014/03/09/obamas-daddy-putin-and-the-ukraine-here-we-go-again/. I think the only real new update is that Shrimpton has amended the birthdate to April 8. In Kenya, that’s 8/4. 8/4 in the US is Aug 4, so that’s a convenient birthdate to use over here! Very clever. Back to the no American Mommy problem, the biggest problem. That means no American blood whatsoever, and no American birth. There are 3 legs to the Natural-born stool, and he doesn’t have even 1. And of course the DNC, as well as top leaders of the Dems in both houses of Congress knew too, as well as some Dem primary candidates. And yet they signed off, literally signed their names, to documents that swore that their candidate met the requirements for POTUS. Multiple, very serious crimes by each. And yet, in the interest of truth, I would be willing to grant them a time-limited deal – immunity in exchange for telling the truth now. I suggest that a deadline be given: Decide before year end, before the ball drops in Times Square on New Years Eve. That’s my idea. I have had more than enough of the lies and continued cover-up, and the pile of dead witnesses that keeps getting bigger. In Shrimpton’s 2014 column, he said there were thousands of dead witnesses already. There must be many more now. Enough! The same People article has short but intriguing info about the 3 Calif. fires that broke out on Nov 8, the 100th anniversary of the end of WWI fighting. Woolsey Fire wrecked Ventura County, the Malibu area, and the homes of some Hollywood stars, and killed several people. Hill Fire, in the same area, is interesting. From article: “It was also ignited in Ventura County and destroyed 4,531 acres near the Borderline Bar and Grill in Thousand Oaks — the site of the tragic mass shooting.” To cover up the shooting scene? And the now infamous Camp Fire, in Butte County north of Sacramento… As of Nov 17, it was only 50% contained, had killed 71 people (more found since) and 1011 people were still missing, easily making it the most destructive ever Calif. wildfire in terms of buildings burned, as well as easily more than doubling the previous deadliest. Nice to see that Theresa May is in big trouble, as she has been useless. As for the Calif. wildfires and the Mueller probe, short but accurate! “Agreements must be kept” is a rule which assumes that those agreements were made in good faith, and no fraud. But in every single step along the way from EC to EU, there has been fraud. Yes you right, that Russia hacked the DNC it’s a lie form the begining, the investigation should be about the zionist entity infiltration in all government branches and his evil joos tentacles inside US and UK… like his ‘charming’ Rees-Mogg….